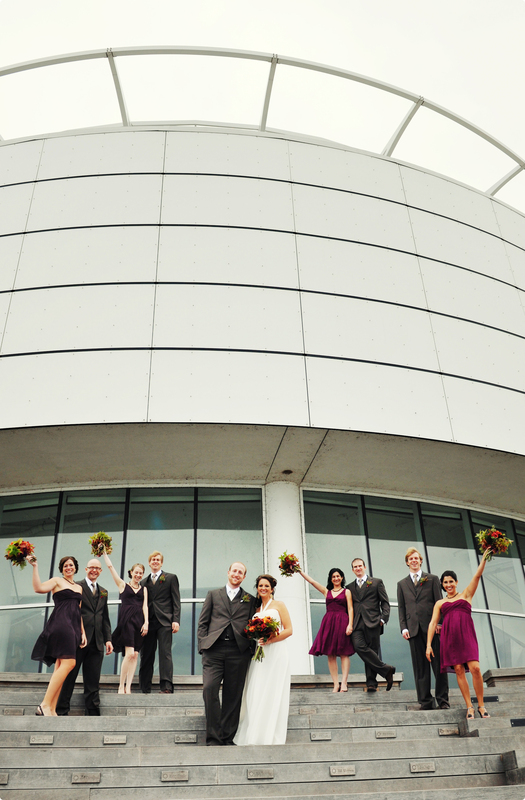 This past fall, the ladies of HAP were asked to style the wedding of dear friends of ours. Lane and Craig’s vision of their wedding was very specific. They wanted a rustic and organic theme with an emphasis on trees and nature. They didn’t want anything too over the top, but wanted it very simple and personal. The finished product was everything the couple wanted; rustic and simple with special personal touches. 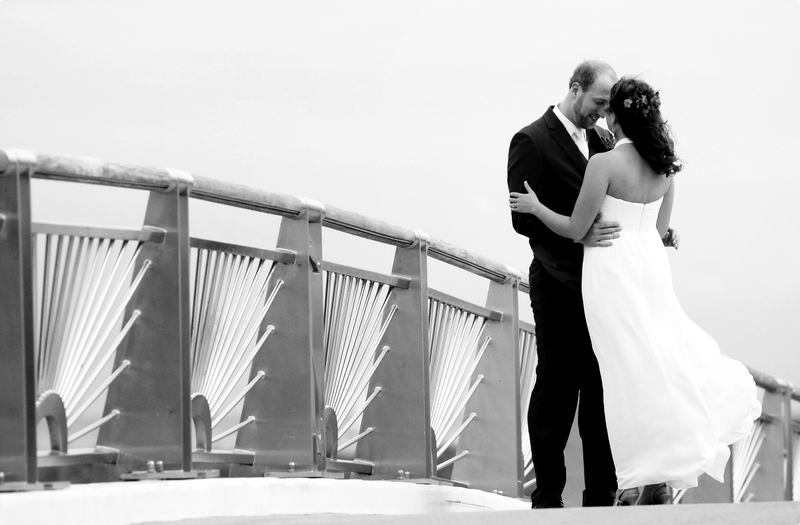 The couple was married outdoors by the Calatrava in Milwaukee. 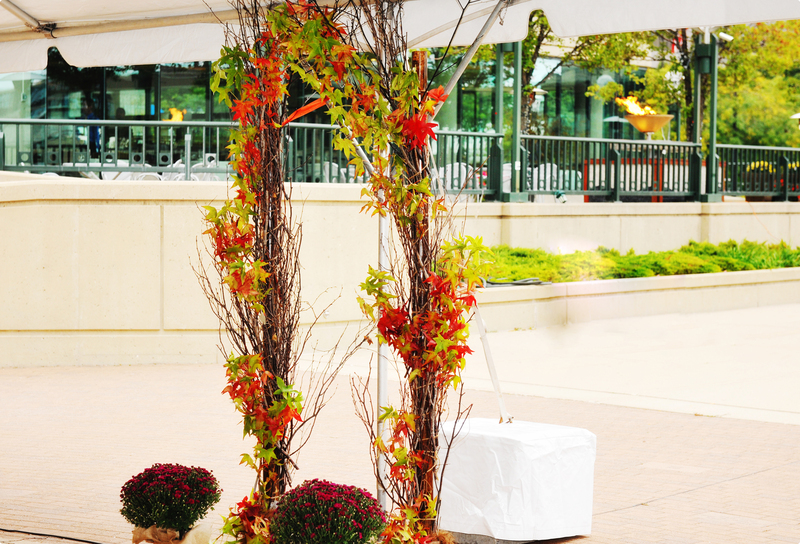 An arbor, created by La Tulipe Design, covered in fall foliage acted as the backdrop to the ceremony. 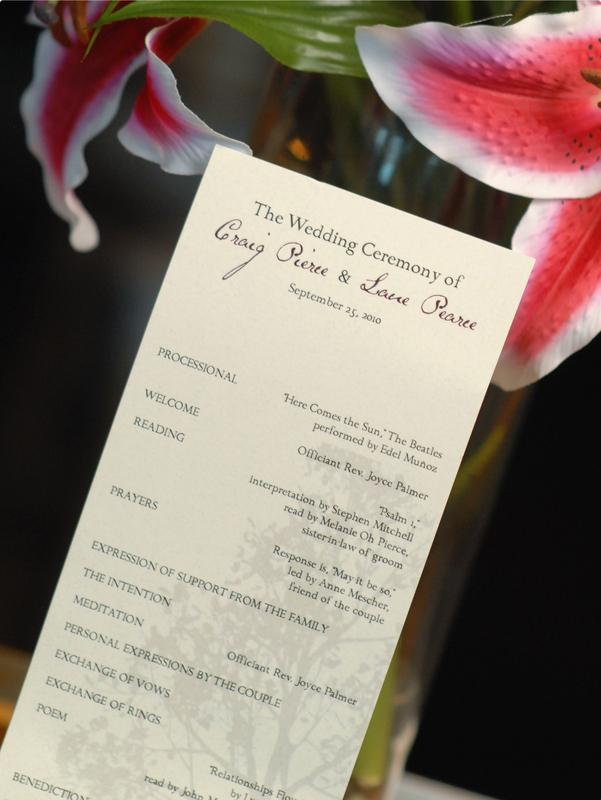 The programs were created by Katie and were kept simple with a tree watermark. 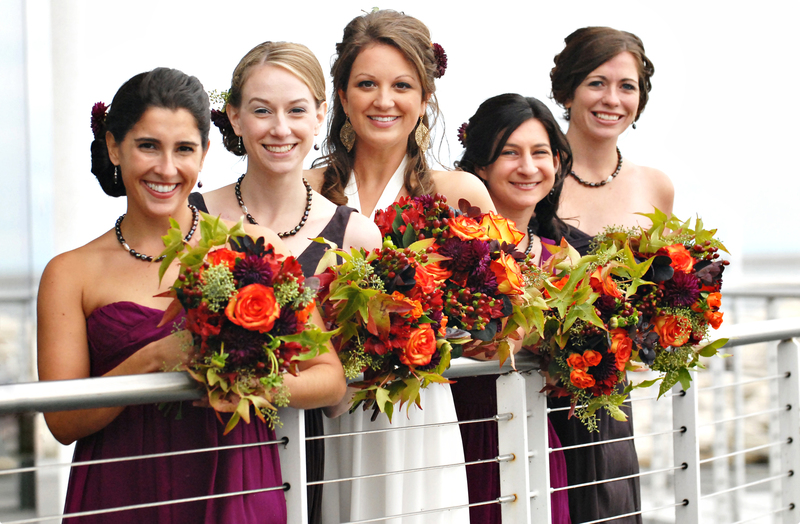 The bridesmaids wore different shades of burgundy and purple and carried fall colored bouquets with natural additions like leaves and twigs, also created by La Tulipe Design. All of the ladies, including the bride, wore flowers in their hair. The reception was held at Coast in Milwaukee. 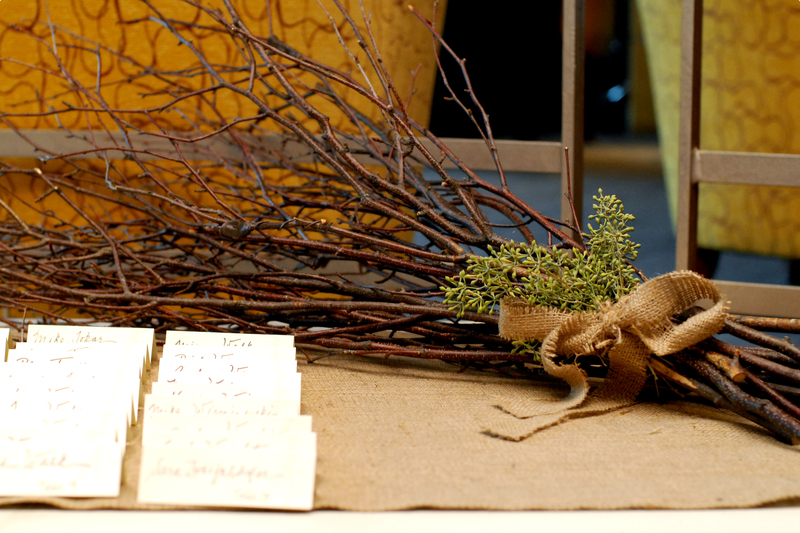 Guests were greeted by a place card table dressed in burlap, natural twigs and and leaves, and personalized place cards. 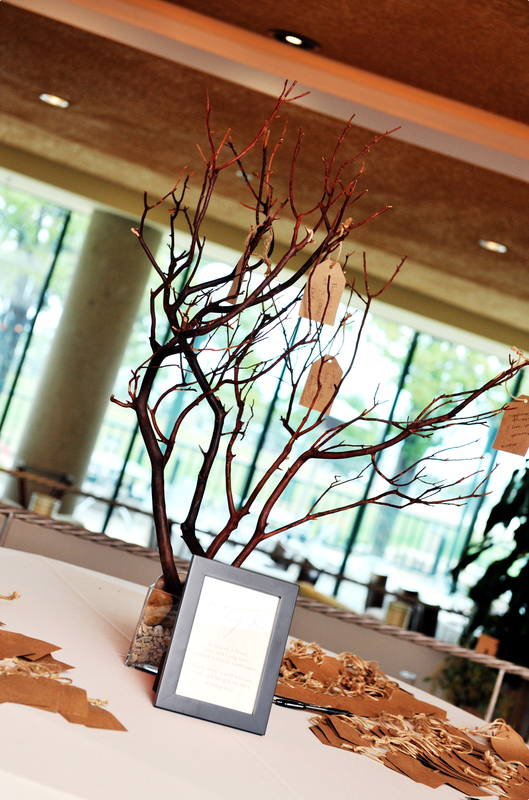 The centerpieces were simple and played off the rustic and natural themed event. Low, glass vases were filled with river rocks, moss and candles. 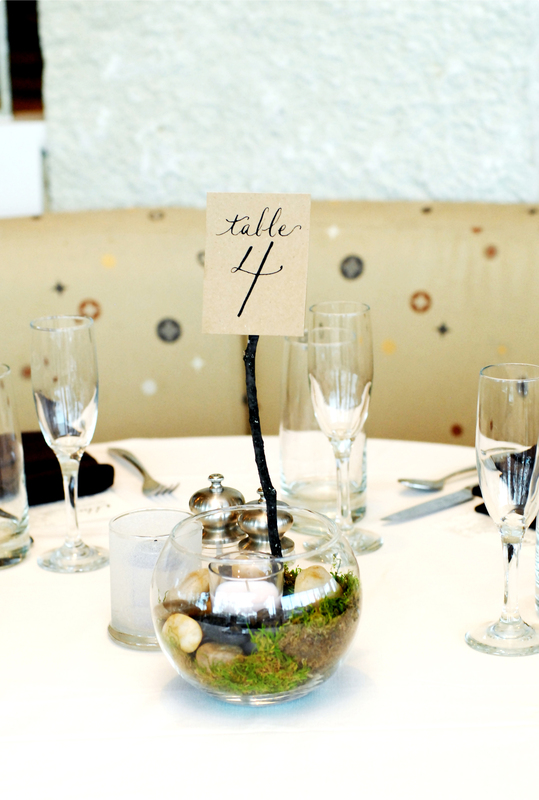 Katie wrote table numbers on kraft paper and secured them to twigs, giving them a more natural feel. 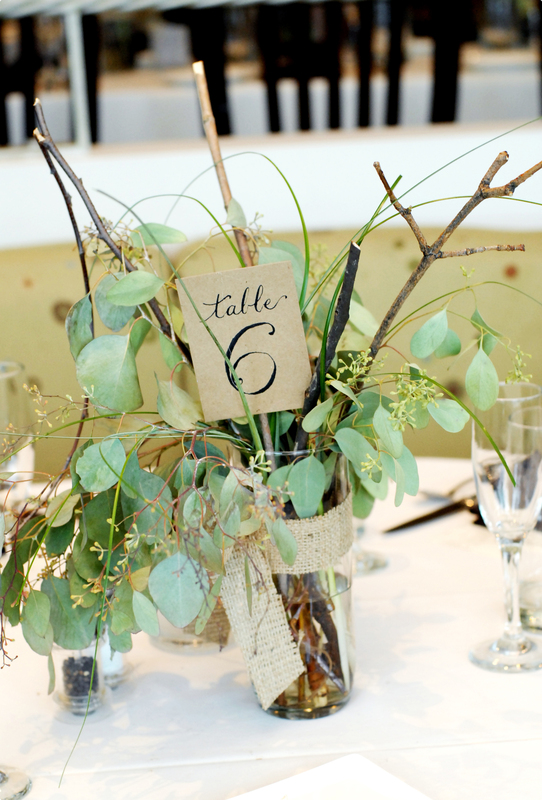 Other tables had vases wrapped in burlap and filled with twigs, river rocks, seeded eucalyptus and other greens. 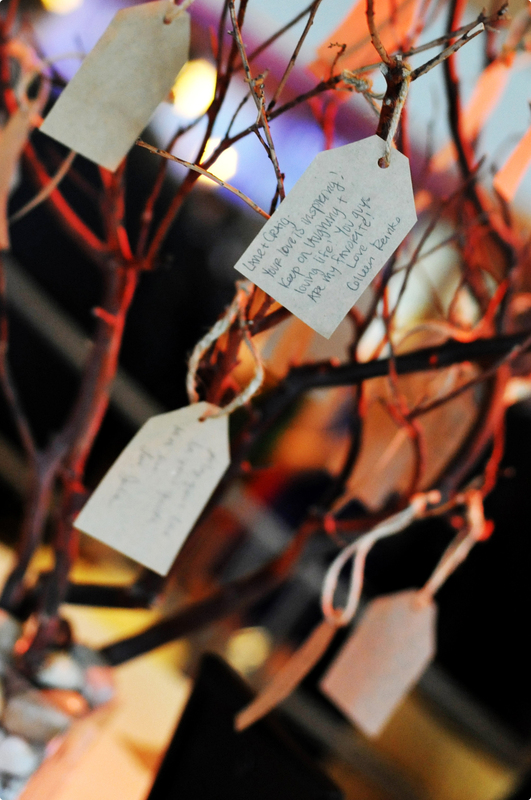 Instead of having a traditional guest book, guests were asked to write wishes to the couple on kraft paper tags and hang them on a wishing tree. 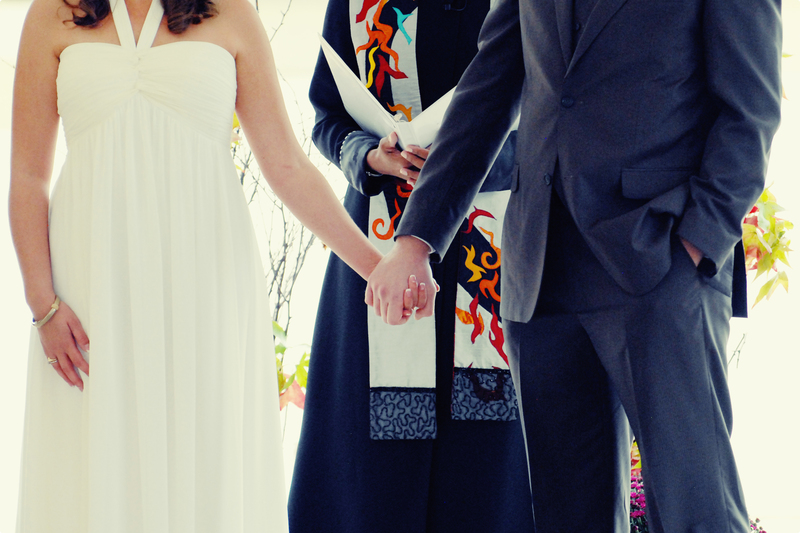 Most importantly, the couple spent the day blissfully happy and surrounded by family and friends.